Wav – Tracks split – Traders Little Helper – Flac8 – SBE Checked – You. 1000 copies. Two photos on front, track details and a (false) story of the album on rear. “Boss” caricature labels. PRO AS 271 is stated as part number on rear and on side. Some sources report the PRO AS 271 release as a repress, but I think this may actually be the same release of the original. As usual please only convert to mp3 etc for you own use only / Please keep all the file names / fingerprints etc as they are and most of all DO NOT SELL – keep trading alive by giving away or trading etc. 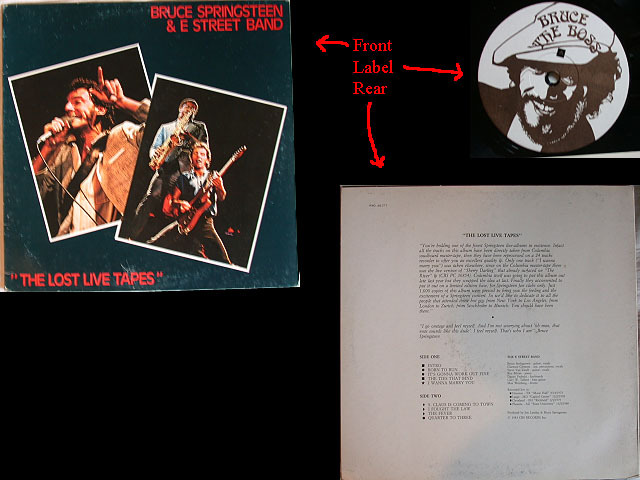 This entry was posted in 1975, 1979, 1980, audio, bootleg, born to run, springsteen, the river and tagged 1975, 1979, 1980, bootleg, born to run, springsteen, the river by Tsitalia. Bookmark the permalink.